Leadership can seem like a mysterious quality, impossible to measure or bottle and sell, and whilst leadership cannot be taught or learned, it can certainly be developed. Leadership is like a muscle. It needs to be flexed and stretched and put under load for it to develop and grow and become stronger in an individual. Strong leaders advance more quickly in organisations, have greater prestige and job security, and typically get greater satisfaction from their jobs. So how can we all improve our leadership quality and get a slice of that action? And who would not be inspired by a leader demonstrating these traits? In his book “The New Art of the Leader”, Bill explores these 8 Universal Principles and presents a number of engaging and compelling examples that support his theory that leadership can be developed. Mary Kay Ash founded a billion dollar cosmetics company in the US in the 1980s, which she started with just a $5,000 investment. She became famous for giving away a Pink Cadillac to her most successful sales woman every year. Her key to successfully motivating her vast sales team of over 30,000 was a very simple one. She took care of her people. She imagined every member of the sales team she met had a sign on his or her head that read “Make me feel important”, and she did everything she could to meet that request. Leaders must not be minders of the shop. If people don’t have clarity on where you are going, they clearly can’t get there. 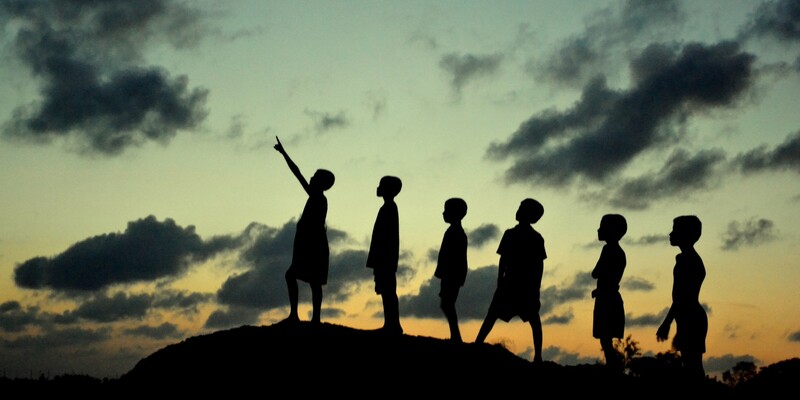 It is a leader’s primary responsibility to provide that direction. The processor caterpillar seeks out mulberry leaves as it’s food source, with one lead caterpillar setting the direction, and a number of follower caterpillars in a nose-to-tail train. A scientist conducted an experiment where he took a line of processor caterpillars and formed them into a circle. He placed a bowl of mulberry leaves in the middle of the circle and watched to see how long it would take for one of the caterpillars to break rank and head for the leaves. The caterpillars continued to walk round and round in the circle until they were too tired to make it to the food only inches away. Men and women are not caterpillars. If you provide no vision, direction and clarity of purpose, they will follow someone else who does know where he or she wants the group to go and who can present a compelling future for them. Direction must be followed with inspiration. 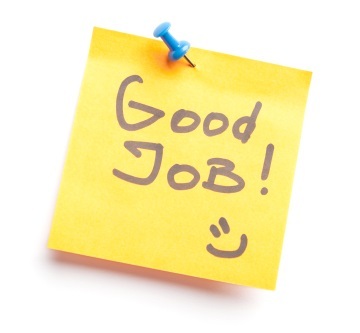 People respond so much better to acknowledgement of a job well done and a feeling of achievement than they might do to an increase in salary or a bonus payment. Responsibility accompanied by growth, development and new challenges in the workplace deliver new energy and focus and engender passion and commitment from people. To inspire and lead your team today, focus on the most important factors first. And don’t forget that imaginary sign on their head! I used to be in the forces… what can I bring to Management Consultancy? I left the armed forces around three years ago. Having moved straight into a Project Management role, much as many other soldiers and officers had done, I found it to be an ideal role for someone from a military background. Covering R&D and National Infrastructure Roll-outs in a Telecommunications firm, an industry I hadn’t any prior experience in could have been problematic. As it turned out, having a new approach to some fairly persistent problems proved to be a significant advantage. I got the opportunity to dive into project finances and budget control, a weakness that many leaving the military are acutely aware of, and at the same time worked in a large organisation that was able to support in my adjustment back into the civilian world of work. Despite this, I didn’t see myself in the role long-term. Frustrations around the competency of some of my peers, the inflexibility of such a large organisation along with a lack of variety in my work, which had been the hallmark of my military career, all contributed to me finding many tasks mundane. And so I started to consider other careers. Throughout my search, people were mentioning management consultancy in its various forms and had explained the benefits such as flexibility, challenge and variety – 3 key criteria for my future role. On top of this were the learning and development opportunities in working with different clients to work on a broad range of issues, providing the diverse and intellectually demanding environment in which I hoped to flourish. One of my significant hang ups from the Army and the larger organisations I found myself in subsequently was that whilst everyone knew what the biggest problems were in delivering results, few were prepared to take the sizeable efforts to fix the truly underlying issues. Working as a consultant, I found I would have the opportunity to tackle the problems that are so endemic in every organisation, and so have a significant impact on the people and ultimately the bottom line. Flexibility – The majority of military folk have found themselves in a wide variety of unfamiliar environments, often at short notice, all whilst receiving what can be best described as unclear instructions. Whilst the instructions are generally fairly clear (contractual obligations help fix that particular problem) you’ll be surprised in your move to civilian employment at how many people are uncomfortable with this degree of uncertainty. The flexibility to act in a way that optimises the results and not be anchored down by a fixed plan is truly an asset. The ability to interact with people at all levels – At many points in your military career you would have worked with an incredibly wide range of abilities and seniorities, possibly amongst the same group, definitely within a single setting. The ability to move from strategic thinking, back down to the lower levels and then work out the impact of each on the other is something that others will struggle with. Travel – For many, leaving the military means the opportunity to stop spending so much time away from home, and this can be a total deal breaker in searching for your next career. Spending up to four nights a week away from home brings variety and many of the learning opportunities that consultancy offers, along with the commercial opportunities too. On top of this, unlike in the military, your weekends are your own, along with opportunities to plan leave well in advance. Getting things done – The phrase ‘a good plan in time is vastly better than a perfect plan too late’ is one that is drilled into you in the military. This can be a rarity in the civilian world, and an unwillingness to get something done is a serious problem in commercial organisations. From a reluctance to take responsibility to an aversion to acting without every single piece of information, having someone come in and take charge can almost be a relief to many managers. This is particularly true when covering something new or when changing an established norm within the business. The disposition to taking action is a characteristic that is in high demand. Key stakeholder management – This is not just keeping your senior sponsor in the business happy, but managing conflicting interests and people. The willingness to hold someone accountable, making sure they’re not pulling off in a different direction that doesn’t serve your client is again, something many people struggle with. Being able to do this with sensitivity but firmness is a quality that most military personnel possess, and is something that many firms rely on consultants to do. Constant Training – Learning new and refreshing the old skills is something that is ingrained in military life. It is a mentality that is present in all of the consultants that I have met thus far. Having a sense of enthusiasm to learn and being able to develop this outlook in your client’s personnel is, in my opinion, integral to being a successful consultant. If you don’t transfer this mind-set to your client teams, they will never be in a position to take on board what skills and ways of working that you have to offer. As a result, you will only be returning to the client site to redo the work that you had already put in place. Adversity – Clients bring consultants in for numerous reasons, be they to compliment a project by providing a missing skill amongst their own staff, to providing external validation for their plans within the business. But commonly it is to make changes or to see through improvements that they know will be difficult. Typically, military personnel have seen their fair share of adversity, and the ability to tackle problems and still see through the project or achieve the end result is something that is highly valued in the commercial environment. These are just a few of the skills that many military people possess and can bring to the consultancy world, and this list is by no means exhaustive. Certainly not every skill taught in the military is useful in the consulting domain, but between a willingness to conduct high level thinking, getting down in the weeds, flexibility and the ability to diffuse conflict and bring a team together, ex-Forces personnel could have much to offer the consulting industry. Just a couple of years ago, newspapers were giving frequent coverage to the market share of the Big 4 Retailers. With the post-recession shopping landscape having changed so radically, journalists were asking whether the Big 4 would start moving into a period of inevitable decline and failure. While these questions inevitably had a veneer of journalistic hyperbole surrounding them and a likely over inflation of the findings of professional bodies, the continued growth of Discount Retailers can’t be pushed aside as inconsequential. The increase in other retailers’ market share at the expense of Tesco and Morrison’s can’t be identified as a temporary blip. The Big 4 retailers accepted the rise of discounters as a result of the recession, waiting for the recovery to regain their market share as consumers went back to spending more on the “quality and brands” that had enabled them to dominate the UK scene. Everybody understood that necessity had driven many towards spending less, surely they wouldn’t keep doing so when they had the choice? Discounters continued to gain market share, with the IGD forecasting that the discount sector would almost double with sales growing from £9.5bn to £18.6bn between April 2013 and April 2018. Whilst this is due in part to an unprecedented number of new stores opening, the discounters are also taking customer segments which were previously key markets for retailers such as Tesco. Considering the AB socio economic demographic, the discount retailer’s customer base of this population has risen from 12.9pc in 2013 to 18.6pc by mid-2014. To put this all into context, these tales of doom and gloom do not translate into the inevitable demise of the Big 4, and even with the growth of the Discounters they still possess 71.6% of market share. But that doesn’t mean that the large retailers can afford to be complacent, especially with analysts now talking about the loss of the “Big 4” title, to be replaced by the “Big 7” or even the “Big 11”! So the question remains, what have these large retailers done so far, and what can they do in future to maintain their market share in the face of a rapidly changing and cut-throat marketplace? Convenience stores – one reaction has been the rapid growth of Convenience stores over the “Big Box” (out of town stores that larger retailers have become renowned for). Often placed in the vicinity of their Discount competitors, these stores help provide an inroad for certain brands in areas where they are otherwise underrepresented. The downside is that they draw consumers away from the “Big Box” stores, reducing the payoff for these high cost, high investment assets and encouraging the trend for “top up shopping” amongst consumers. Matching consumers’ changing shopping habits – Industry bods have charted a clear move by consumers away from weekly shops, further undermining the role of the larger stores. Instead, many consumers are favouring a bulk online order for key staples and supplement this with visits to convenience stores during the week for fresh goods. A reaction would be to reduce the floor space of the “Big Box” stores and increase the number and concentration of the Convenience Stores. Whilst this seems like a quick decision, the expansion of this model would only help to fuel this trend, thus damaging the existing model of these large out of town stores even further. Online Deliveries – This is an area most retailers have been exploiting for quite a while, targeting time poor consumers looking to avoid a trip to the supermarket. However, these can carry a prohibitive cost, especially on the smaller orders. What will be most interesting to chart is the impact of Amazon online grocery shopping, both on the market as a whole, and on how they continue to adjust and develop the process. Amazon are particularly well-equipped to understand their consumer data and have repeatedly demonstrated their flexibility to act on consumer trends. This cannot necessarily be said of the Big 4, who have so far failed to take full advantage of the information provided to them by their loyalty cards. Pick up points – One solution to the better utilisation of the larger stores has been to convert an area to drive-through pick up points for online shopping. Several commentators are seeing this as the future of shopping, although it is acknowledged that it carries risks to margins if not done correctly. Expansions on this idea may be to imitate or develop the South Korean concept of virtual shelves where commuters scan bar codes on interactive bill boards at rail stations and have the items delivered to them by the time they arrive home. This is being trialled at the moment, and it will be intriguing to see how cost-effective the method is and to what degree busy consumers will accept it. Emphasis on quality and ethics – One area that people would naturally assume was well within the field of the Big 4 against their discount opposition would be on issues around quality and ethics, particularly within their supply chains. Studies show that these are priorities for a number of consumers, with 83% opting for organic produce wherever possible, and 13% actively looking for organic produce in all of their shopping. But again, this is something that the Big 4 would need to do the groundwork on. After the horsemeat scandal, questionable labour policies in Big 4 supply chains, and with Aldi and Lidl’s ranking in the middle of the table, there is some way to go before the Big 4 can exploit this reputation. Cutting prices – All commentators and industry bodies see a race to the bottom as being bad for consumers and for the industry as a whole. 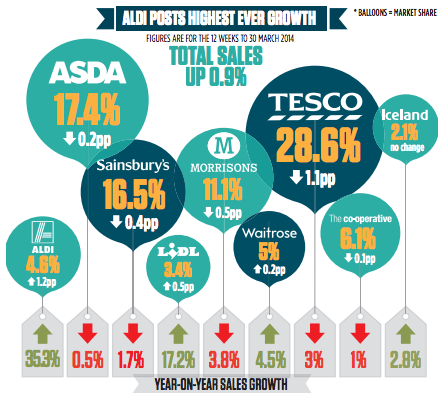 With margins pinched already, stalls in investment and drops in stock price, rapid price reduction will only harm the industry and individual retailers, whilst preserving the strengths of Aldi & Lidl. On top of this, consumers are more than wary of Big 4 price deals that are there one day but not the next. Match gaps in rivals’ stock – One option might be to exploit the budget retailers’ stock gaps, allowing consumers to purchase their main items there, whilst topping up at the Big 4 stores for fresh, higher quality or more varied goods. This supports the need for convenience stores near discount rivals’ stores, and so matches investment that has already taken place. These are just a few options out of many, and each of them could be expanded and debated much further than has been done so here. Whilst the move to encompass changing consumer habits shows a willingness to adapt, the Big 4 are still too slow. Be this due to internal bureaucracies, slow decision-making processes or a failure to fully appreciate the situation that they are in, the Big 4’s reaction has been stilted thus far. In spite of this, many in the Big 4 would point out that they still dominate the market, and are structurally in a strong place. Pointing towards increasing rental investment and with many of the “Big Box” stores extending their leases, they are clearly demonstrating their confidence in the current model. But with a reduction to 71.6% market share at the end of 2015 (76.7% in 2012) and Discount retailers only set to grow, the Big 4 should look to make quick changes now if they want to continue to dominate the market place, before they become just another number in the Big 11. A penny for your thoughts… Is financial reward ever the best incentive? Snooker fans will recall the controversy surrounding the Welsh Open in Cardiff last month which led to the behaviour of Ronnie O’Sullivan, one of the world’s most successful players, branded ‘unacceptable and disrespectful’. On course for a 147, the maximum score in a game of snooker and a reasonably rare achievement even for O’Sullivan, the player only had to pot the black. O’Sullivan paused, turned to the referee, and asked what the prize money was for a 147. Informed that the prize was £10,000, he turned away from the black and potted the pink instead, ending his chances of a 147. So what encouraged this strange behaviour? O’Sullivan was later quoted as saying “I could have done it, but I didn’t think the prize was worthy of a 147”. O’Sullivan has achieved thirteen 147s in his 25-year career and been paid as much as £147,000; an expectation had been set. What happened at the Welsh Open demonstrates the symbolic power of money; when too much is on offer, people can feel uncomfortable and undeserved, and when too little is on offer, people can feel undervalued and even insulted. If there had never been a prize, is it likely that O’Sullivan would have gone for the 147? Despite a common belief that money is a good incentive, evidence increasingly suggests that money can actually reduce people’s intrinsic motivations. An example of this is a nursery in Israel which introduced heavy charges on parents who collected their children late at the end of the day. The aim of the nursery was to discourage parents from being late, but what actually happened was that more parents were late more often, as they believed they were paying for a service. By removing a personal sense of obligation to be punctual, the tardiness simply becomes transactional, a commodity to which no guilt or shame is attached. Would the nursery have been more successful had they put the emphasis on positive behaviour such as personal morality, instead of using an extrinsic motivator? Extrinsic motivation refers to behaviour driven by external rewards, usually financial, while intrinsic motivation is behaviour driven from internal rewards. People who are intrinsically motivated have a desire to keep doing something even when there is no tangible reward besides personal satisfaction. In earlier eras when work generally involved more repetitive, well-defined tasks, employers offered extrinsic rewards as the only motivational tool available. However, in today’s workplace where workers are increasingly asked to self-manage and problem solve, extrinsic incentives are less effective and often deleterious, not least because of their potential and unintended consequences; unsustainability (as soon as the reward is withdrawn the motivation disappears); expectation (over time the employee regards the reward as less of a bonus and as the status quo); and the over-justification effect (the undermining of one’s intrinsic motivation by extrinsic reward). An example of the latter is someone being paid to do something they had previously enjoyed as a hobby or passion. The introduction of a financial incentive results in more attention being paid to the external reward for the activity, rather than the inherent enjoyment and satisfaction of the activity itself. To a certain extent, people are motivated by different things, but interestingly, the most important determinant of disengagement in any workplace is incompetent leadership. Thus, it is the role of the manager that will have a significant impact on whether employees are engaged at work, or not. So how can management support meaningful work and promote the factors mentioned above, in order to develop intrinsic motivation in the workplace? Management should set clear goals, provide sufficient resources and time, offer assistance, learn from problems and successes, remove obstacles, and finally, do not micromanage. Give people work that is meaningful, allow them to make decisions, develop their skills, and provide recognition – and not only do you have a productive workforce, but a happy one! There will undoubtedly always be people who are motivated by cold hard cash, and willing to make sacrifices in both their work and personal lives in order to reach financial goals. But is it really worth doing a job which provides little satisfaction, no free time, a lot of stress, and in which there is no perceived value added to the greater good, whatever that might be? It is highly likely that the people you know who are happiest in their jobs aren’t necessarily those on the highest salaries or being motivated by other such extrinsic incentives. People who are incentivised from within are those who make the happiest and most productive workers. Money may be what makes the world go round, but its purpose that gets us out of bed in the morning.